Although multidisciplinary care for the people affected by orofacial clefting has undergone many advances, surgical correction of the nasal deformities associated with bilateral cleft lip remains a challenge. Various single- and multiple-stage procedures have been used. Deformities may become apparent after further growth and development of the nose, making the bilateral cleft lip nasal deformity a 4-dimensional problem. Many early surgical approaches for repairing the bilateral cleft lip and its nasal deformity in a single stage resulted in scarring and corrections that did not last. This led to the belief that primary repair may interfere with growth of the nasal cartilages and that the nasal deformity should not be corrected in a secondary staged procedure after nasal growth is complete. Soon, evidence began to refute this belief, and some have claimed that early surgery may assist growth. The history of the surgical treatment of the bilateral cleft lip nose is long and fascinating; for a more complete treatment, the reader is directed to Millard's Cleft Craft. Below are some of the influential surgeons and a brief summary of their contributions. Millard maintained that the columella is actually shortened because the dislocated alar cartilages have not stretched the columella properly, and he designed a repair with this in mind. He begins by presurgical active orthopedics with an intraoral fixed device. If insufficient prolabium is available, lip adhesions may be used to enlarge the prolabium. Broadbent and Woolf were among the first to describe simultaneous primary repair of the lip and nose. They believed that early surgery certainly did not retard growth and might actually assist it. Their experiences taught them that a good primary repair endures; however, any deformities not fully repaired do not improve with time. Their method consists of making an incision in the superior cleft defect extending between the upper lateral cartilage (ULC) and lower lateral cartilage (LLC) to the tip. The superior border of the LLC is undermined, and the skin of the nasal tip and over the ULCs is freed. They made a midline incision of the nasal tip and sutured together the domes of the LLCs, which lengthened the columella. They also relocated the LLCs by pulling them upward and medial to the ULCs with sutures. In 1986, Harold McComb published a 10-year follow-up study of repairs he had accomplished using a 2-stage procedure. It involved lengthening the columella with forked flaps taken from the prolabium when the patient was aged 6 weeks, with repair of the lip and nasal deformity performed 6 weeks later. Later, he began to notice complications associated with this type of columellar lengthening and abandoned this technique in favor of another 2-stage procedure. In describing his new procedure, he noted that, embryologically, the prolabium belongs to the lip and therefore should not be used to reconstruct the columella. Salyer performs his lip repair procedure, along with a limited nasal repair, when the patient is aged approximately 3 months. Initial surgery entails bilateral superiorly based prolabial flap elevation developed around the flap to be used for philtral reconstruction. These are rotated into the nasal floor after bilateral vertical intranasal alar and alar base incisions allow freeing of the LLCs and rotation of the bases medially. The lip repair is then completed. Initially an advocate of a 2 stage procedure with forked flaps,  Noordhoff now uses a 1-stage lip and primary nasal repair, performed when the patient is aged 3 months. The alar bases and orbicularis are sutured to the nasal spine to attempt to prevent columellar drift. The domes are also sutured together at the tip to improve tip projection. Surgical correction of nasal deformities associated with bilateral cleft lip is challenging, as deformities may become more apparent as the nose undergoes further growth and development. The indication for surgery is visible nasal deformity associated with a bilateral cleft of the lip that the patient or responsible party desires to be corrected. The nasal cavity begins at the nares, or nostrils, extending posterior to the choanae. The nasal floor consists of the palatine process of the maxilla and the horizontal plate of the palatine bone. Nasal anatomy is shown in the image below. A diagram of normal nasal anatomy. Note the acute angle of genu of the lower lateral cartilages and the vertical orientation of the nares. Bilateral cleft lip nasal anatomy is shown below. A diagram of nasal anatomy of a person with bilateral cleft lip. Note the obtuse angle of the genu of the lower lateral cartilages and the horizontal alignment of the nares. The nasal deformity can vary considerably. In patients with bilateral incomplete clefts, little, if any, detectable deformity may be present. In patients with severe bilateral clefting, the deformity may be profound. Asymmetry of the nasal deformity and the premaxilla may present a challenge to the operating surgeon. In an attempt to lengthen the columella by advancing skin, the cartilage defect is worsened (see image below). Lengthening the columella by advancing skin from the prolabium (large red arrow) tends to increase the angle of the lower lateral cartilages (small red arrows) and broadens the tip. Any infant who is a candidate for surgery should be eating and gaining weight normally and should undergo a complete physical examination to determine the extent of any concurrent medical illnesses. The child should be free of respiratory infection and without any skin infection at the time of surgery. Any anomalies that compromise the patient's intraoperative or postoperative course may be contraindications to surgery. The "Rule of Tens" is a set of classic guidelines for the suitability of an infant for surgery. Judgment as to whether a child is suitable for surgery requires good communication and respect between the surgical and anesthesia teams. Tan SP, Greene AK, Mulliken JB. Current surgical management of bilateral cleft lip in North America. Plast Reconstr Surg. 2012 Jun. 129(6):1347-55. [Medline]. Manchester WM. The repair of bilateral cleft lip and palate. Br J Surg. 1965 Nov. 52(11):878-82. [Medline]. Millard DR Jr. Embryonic rationale for the primary correction of classical congenital clefts of the lip and palate. Ann R Coll Surg Engl. 1994 May. 76(3):150-60. [Medline]. Millard DR Jr, Latham RA. Improved primary surgical and dental treatment of clefts. Plast Reconstr Surg. 1990 Nov. 86(5):856-71. [Medline]. Trier WC. Repair of bilateral cleft lip: Millard's technique. Clin Plast Surg. 1985 Oct. 12(4):605-25. [Medline]. Broadbent TR, Woolf RM. Cleft lip nasal deformity. Ann Plast Surg. 1984 Mar. 12(3):216-34. [Medline]. Cronin TD, Upton J. Lengthening of the short columella associated with bilateral cleft lip. Ann Plast Surg. 1978 Jan. 1(1):75-95. [Medline]. Mulliken JB. 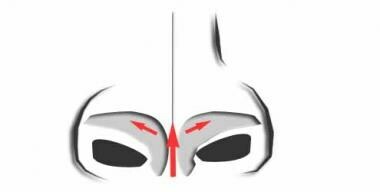 Correction of the bilateral cleft lip nasal deformity: evolution of a surgical concept. Cleft Palate Craniofac J. 1992 Nov. 29(6):540-5. [Medline]. Mulliken JB, Wu JK, Padwa BL. Repair of bilateral cleft lip: review, revisions, and reflections. J Craniofac Surg. 2003 Sep. 14(5):609-20. [Medline]. Mulliken JB. Repair of bilateral complete cleft lip and nasal deformity--state of the art. Cleft Palate Craniofac J. 2000 Jul. 37(4):342-7. [Medline]. Mulliken JB. Primary repair of bilateral cleft lip and nasal deformity. Plast Reconstr Surg. 2001 Jul. 108(1):181-94; examination,195-6. [Medline]. Mulliken JB. Mulliken Repair of Bilateral Cleft Lip and Nasal Deformity. Losee JE, Kirschner RE. Comprehensive Cleft Care. New York: McGraw Hill; 2008. Ch. 20, pp. 343-30. Nakajima T. Early and one stage repair of bilateral cleft lip and nose. Keio J Med. 1998 Dec. 47(4):212-8. [Medline]. Nakajima T, Ogata H, Sakuma H. Long-term outcome of simultaneous repair of bilateral cleft lip and nose (a 15 year experience). Br J Plast Surg. 2003 Apr. 56(3):205-17. [Medline]. McComb H. Primary repair of the bilateral cleft lip nose: a 10-year review. Plast Reconstr Surg. 1986 May. 77(5):701-16. [Medline]. McComb H. Primary repair of the bilateral cleft lip nose: a 15-year review and a new treatment plan. Plast Reconstr Surg. 1990 Nov. 86(5):882-9; discussion 890-3. [Medline]. McComb H. Primary repair of the bilateral cleft lip nose: a 4-year review. Plast Reconstr Surg. 1994 Jul. 94(1):37-47; discussion 48-50. [Medline]. Salyer KE. Discussion: Primary repair of the bilateral cleft lip nose: a 15-year review and a new treatment plan. Plast Reconstr Surg. 1990 Nov. 86(5):pp. 890-3. [Medline]. Bardach J, Salyer KE. Correction of Secondary Bilateral Cleft-Lip and Nasal Deformities. Bardach J, Salyer KE. Atlas of Craniofacial and Cleft Surgery. Philadelphia: Lippincott- Raven; 1999. Vol. II: Ch 14, pp. 609-678. Xu H, Salyer KE, Genecov ER. Primary bilateral one-stage cleft lip/nose repair: 40-year Dallas experience: part I. J Craniofac Surg. 2009 Sep. 20 Suppl 2:1913-26. [Medline]. Noordhoff MS. Bilateral cleft lip reconstruction. Plast Reconstr Surg. 1986 Jul. 78(1):45-54. [Medline]. Chen PK, Noordhoff MS. Bilateral Cleft Lip and Nose Repair. Losee JE, Kirschner RE. Comprehensive Cleft Care. New York: McGraw Hill; 2008. Ch. 20, pp. 331-342. Cutting C, Grayson B. The prolabial unwinding flap method for one-stage repair of bilateral cleft lip, nose, and alveolus. Plast Reconstr Surg. 1993 Jan. 91(1):37-47. [Medline]. Cutting CB. Bilateral Cleft Lip Repair. Mathes SJ. Plastic Surgery. 2nd ed. Philadelphia: Elsevier; 2005. Vol IV: Ch. 94, pp. 217-248. [Full Text]. Cutting C, Grayson B, Brecht L, Santiago P, Wood R, Kwon S. Presurgical columellar elongation and primary retrograde nasal reconstruction in one-stage bilateral cleft lip and nose repair. Plast Reconstr Surg. 1998 Mar. 101(3):630-9. [Medline]. Cutting C, Grayson B, Brecht L. Columellar elongation in bilateral cleft lip. Plast Reconstr Surg. 1998 Oct. 102(5):1761-2. [Medline]. Cutting CB, Kamdar MR. Primary bilateral cleft nasal repair. Plast Reconstr Surg. 2008 Sep. 122(3):918-9. [Medline]. Precious DS. Primary bilateral cleft lip/nose repair using the "Delaire" technique. Atlas Oral Maxillofac Surg Clin North Am. 2009 Sep. 17(2):137-46. [Medline]. Mossey PA, Little J. Epidemiology of oral clefts: An international perspective. Wyszynski DF. Cleft Lip and Palate: From Origin to Treatment. New York: Oxford University Press; 2002. Ch. 12, pp. 127-158. Marazita ML. Segrigation Analyses. Wyszynski DF. Cleft Lip and Palate: From Origin to Treatment. New York: Oxford University Press; 2002. Ch. 18, pp. 222-239. Chong SS, Cheah FS, Wang-Jabs E. Genes Implicated in Lip and Palate Development. Wyszynski DF. Cleft Lip and Palate: From Origin to Treatment. New York: Oxford University Press; 2002. Ch. 3, pp. 25-42. Carinci F, Pezzetti F, Scapoli L, Martinelli M, Avantaggiato A, Carinci P, et al. Recent developments in orofacial cleft genetics. J Craniofac Surg. 2003 Mar. 14(2):130-43. [Medline]. Cohen MM. Syndromes with Orofacial clefting. Wyszynski DF. Cleft Lip and Palate: From Origin to Treatment. New York: Oxford University Press; 2002. Ch. 6, pp. 53-65. Sperber GH. Formation of the Primary Palate. Wyszynski DF. Cleft Lip and Palate: From Origin to Treatment. New York: Oxford University Press; 2002. Ch. 1, pp. 5-13. Jones MC. Facial clefting. Etiology and developmental pathogenesis. Clin Plast Surg. 1993 Oct. 20(4):599-606. [Medline]. Penfold C, Dominguez-Gonzalez S. Bilateral cleft lip and nose repair. Br J Oral Maxillofac Surg. 2011 Apr. 49(3):165-71. [Medline]. Pool R, Farnworth TK. Preoperative lip taping in the cleft lip. Ann Plast Surg. 1994 Mar. 32(3):243-9. [Medline]. Griswold ML Jr, Sage WF. Extraoral traction in the cleft lip. Plast Reconstr Surg. 1966 May. 37(5):416-21. [Medline]. Grayson BH, Maull D. Nasoalveolar molding for infants born with clefts of the lip, alveolus, and palate. Clin Plast Surg. 2004 Apr. 31(2):149-58, vii. [Medline]. Rau A, Ritschl LM, Mucke T, Wolff KD, Loeffelbein DJ. Nasoalveolar molding in cleft care--experience in 40 patients from a single centre in Germany. PLoS One. 2015. 10 (3):e0118103. [Medline]. [Full Text]. Mulliken JB. Principles and techniques of bilateral complete cleft lip repair. Plast Reconstr Surg. 1985 Apr. 75(4):477-87. [Medline]. LaRossa D, Donath G. Primary nasoplasty in unilateral and bilateral cleft nasal deformity. Clin Plast Surg. 1993 Oct. 20(4):781-91. [Medline]. Delaire J. Theoretical principles and technique of functional closure of the lip and nasal aperture. J Maxillofac Surg. 1978 May. 6(2):109-16. [Medline]. Trott JA, Mohan N. A preliminary report on open tip rhinoplasty at the time of lip repair in unilateral cleft lip and palate: the Alor Setar experience. Br J Plast Surg. 1993 Jul. 46(5):363-70. [Medline]. Thomas C. Primary rhinoplasty by open approach with repair of bilateral complete cleft lip. J Craniofac Surg. 2009 Sep. 20 Suppl 2:1715-8. [Medline]. Lee CT, Garfinkle JS, Warren SM, Brecht LE, Cutting CB, Grayson BH. Nasoalveolar molding improves appearance of children with bilateral cleft lip-cleft palate. Plast Reconstr Surg. 2008 Oct. 122(4):1131-7. [Medline]. Stal S, Hollier Jr LH. Secondary Deformities of the Cleft Lip, Nose, and Palate. Mathes SJ. Plastic Surgery. 2nd ed. Philadelphia: Elsevier; 2005. Vol. IV: Ch. 98, pp. 339-364. [Full Text]. Bruner TW, Boyd V, Stal S, Hollier LH. Correction of Secondary Bilateral Cleft Lip and Nose Deformities. Losee JE, Kirschner RE. Comprehensive Cleft Care. New York: McGraw Hill; 2008. Ch. 31, pp. 487-497. Ozaki W, Chaffoo RA, Vu KC, Markowitz BL. Comprehensive rhinoplasty technique to correct the bilateral cleft lip nasal deformity using conchal composite grafts. J Craniomaxillofac Surg. 2006 Apr. 34(3):150-5. [Medline]. Lo LJ, Kane AA, Chen YR. Simultaneous reconstruction of the secondary bilateral cleft lip and nasal deformity: Abbé flap revisited. Plast Reconstr Surg. 2003 Oct. 112(5):1219-27. [Medline]. Lee YS, Shin DH, Choi HG, et al. Columella Lengthening with a Full-Thickness Skin Graft for Secondary Bilateral Cleft Lip and Nose Repair. Arch Plast Surg. 2015 Nov. 42 (6):704-8. [Medline]. [Full Text]. Burget G. Definitive Rhinoplasty for Adult Cleft Lip Nasal Deformity. Losee JE, Kirschner RE. Comprehensive Cleft Care. New York: McGraw Hill; 2008. Ch. 32, pp. 498-523. Matsuo K, Hirose T. A rotational method of bilateral cleft lip nose repair. Plast Reconstr Surg. 1991 Jun. 87(6):1034-40. [Medline]. Nakamura N, Sasaguri M, Okawachi T, Nishihara K, Nozoe E. Secondary correction of bilateral cleft lip nose deformity - Clinical and three-dimensional observations on pre- and postoperative outcome. J Craniomaxillofac Surg. 2011 Jul. 39(5):305-12. [Medline]. Hellings PW, Hens G, Schoenaers J, Jorissen M, Vander Poorten V. Unique approach to secondary cleft-lip rhinoplasty in facial plastic surgery. B-ENT. 2010. 6 Suppl 15:97-101. [Medline]. Strauss RP. Cleft palate and craniofacial teams in the United States and Canada: a national survey of team organization and standards of care. The American Cleft Palate-Craniofacial Association (ACPA) Team Standards Committee. Cleft Palate Craniofac J. 1998 Nov. 35(6):473-80. [Medline]. Morovic CG, Cutting C. Combining the Cutting and Mulliken methods for primary repair of the bilateral cleft lip nose. Plast Reconstr Surg. 2005 Nov. 116(6):1613-9; discussion 1620-2. [Medline]. Thomas C, Mishra P. Open tip rhinoplasty along with the repair of cleft lip in cleft lip and palate cases. Br J Plast Surg. 2000 Jan. 53(1):1-6. [Medline]. Garfinkle JS, King TW, Grayson BH, Brecht LE, Cutting CB. A 12-year anthropometric evaluation of the nose in bilateral cleft lip-cleft palate patients following nasoalveolar molding and cutting bilateral cleft lip and nose reconstruction. Plast Reconstr Surg. 2011 Apr. 127(4):1659-67. [Medline]. Garri JI, O'Leary K, Gabbay JS, Urrego AF, Heller JB, O'Hara CM. Improved nasal tip projection in the treatment of bilateral cleft nasal deformity. J Craniofac Surg. 2005 Sep. 16(5):834-9. [Medline]. Noordhoff MS. An Integrated Approach to the Primary Lip/Nasal Repair in Bilateral Cleft Lip and Palate. Plastic Surgery Hyperguide. Available at http://www.plasticsurgery.hyperguides.com/noordhoff.asp. Accessed: Feb. 20, 2009. Byrd HS, Ha RY, Khosla RK, Gosman AA. Bilateral cleft lip and nasal repair. Plast Reconstr Surg. 2008 Oct. 122(4):1181-90. [Medline]. Jackson IT, Yavuzer R, Kelly C, Bu-Ali H. The central lip flap and nasal mucosal rotation advancement: important aspects of composite correction of the bilateral cleft lip nose deformity. J Craniofac Surg. 2005 Mar. 16(2):255-61. [Medline]. Lengthening the columella by an interdomal suture (blue) moves the lower lateral cartilages medially (red arrows) and defines the nasal tip. Intraoperative view of an open rhinoplasty on a patient with blilteral cleft lip. Intraoperative view of an open rhinoplasty on a patient with blilteral cleft lip, after placement of an intradomal suture. When Is Teenage Plastic Surgery Versus Cosmetic Surgery Okay?